Shirts With Random Triangles: Ole Miss Adds Three-Star OT Ben Brown To Its 2017 Recruiting Class. 247Sports ranks Brown as a composite three-star offensive tackle prospect. The recruiting site ranks Brown at no. 85 among OT prospects for 2017, at no. 18 among 2017 prospects from the state of Mississippi, and at no. 805 in its composite national rankings for 2017. Browns' paternal grandfather, Allen Brown, and maternal grandfather Bobby Robinson were members of the 1962 Ole Miss team that the school recognizes as one of its three national title winners. The elder Brown went on to play in NFL with the Green Bay Packers. He was a member of the Packers Super Bowl I and Super Bowl II-winning teams. Brown's father, Tim Brown was an offensive guard for Ole Miss during the 1988-1989 seasons. His uncle, Burkes Brown was an offensive tackle in 1991-1992. 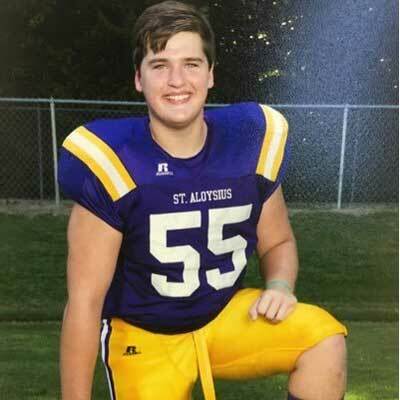 Brown attends St. Aloysius High School in Vicksburg, Ms. He stands 6'6, and weighs 290 lbs.